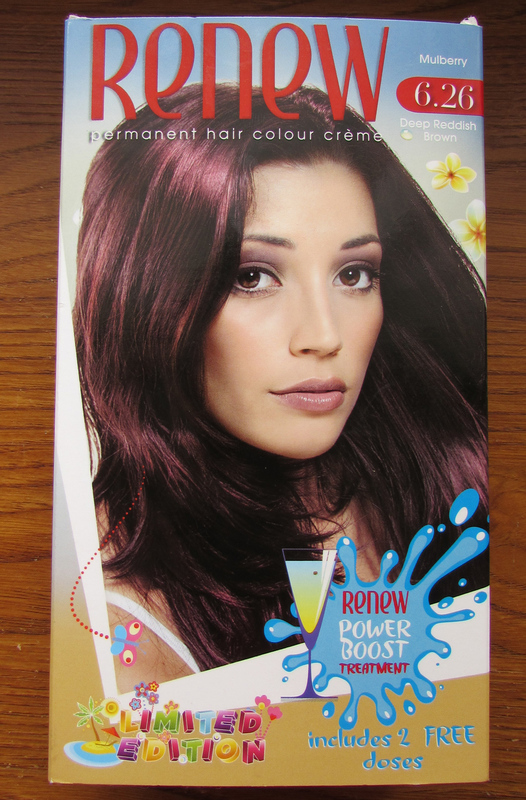 Today I am reviewing my favorite hair dye, I have been using this brand exclusively for the passed year. It's utterly fabulous and I don't see myself changing to a different brand any time soon! "Renew Permanent Hair Colour Creme is a breakthrough formulation from the Godrej Hair Care Institute, a centre dedicated to the art and science of hair care. The double conditioning formula in the Renew Permanent Hair Colour Creme contains Aloe-Protein conditioner that protect and revitalize hair while you colour it. The Aloe-Protein conditioner repairs and strengthens your hair by giving nourishment and moister to your coloured hair, giving it a naturally healthy shine. The Renew rich, non-drip formulation with Colour Lock system covers all greys and is so easy to apply that it makes hair colouring a real pleasure. Renew spreads evenly on your hair to give a rich, attractive colour all over that lasts for a long time. Available in 10 different shades Renew has a colour just for you in the range." I took the above information off of their website : http://www.renewhair.co.za/ , I had to correct quite a few spelling mistakes - but don't worry, their product is much better than their spelling. haha! It also says on their website that it's available in 10 shade, but on their Facebook page they say it's available in 18 shades. I love this hair dye, a box of this dye costs R58.00 (I always buy mine at my local Spar, but Clicks stocks a much wider variety) at R58.00 it's more than 50% cheaper than most other brands! I have really thick hair and it's starting to get quite long again, so I have to buy two boxes to cover all my hair, and it's only just enough. 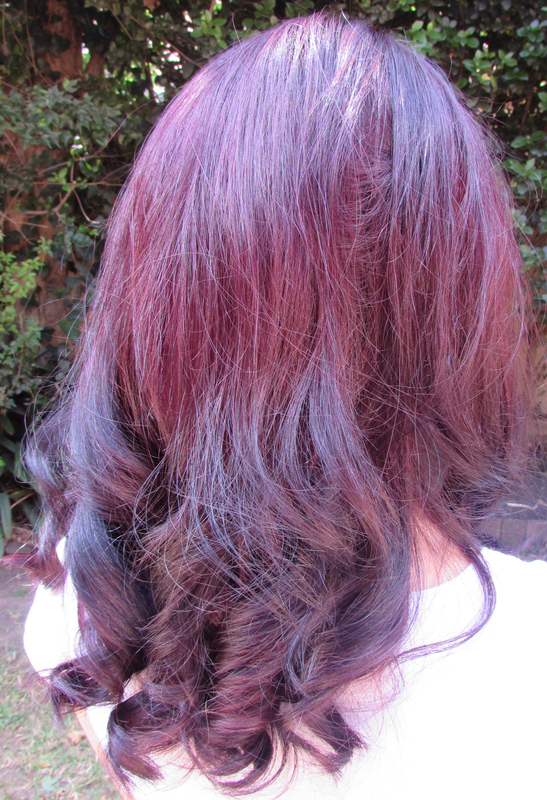 I dye my hair every 4 weeks, so the fact that it's so affordable is a major plus! I think a lot of people are very nervous about coloring their hair at home, but I have lots of experience with this. I don't enjoy having my hair done at all, I prefer doing it myself. I've experimented a lot, and I've definitely messed up a time or two, but after 6 years of practice I'm quite comfortable and confident doing my own hair. 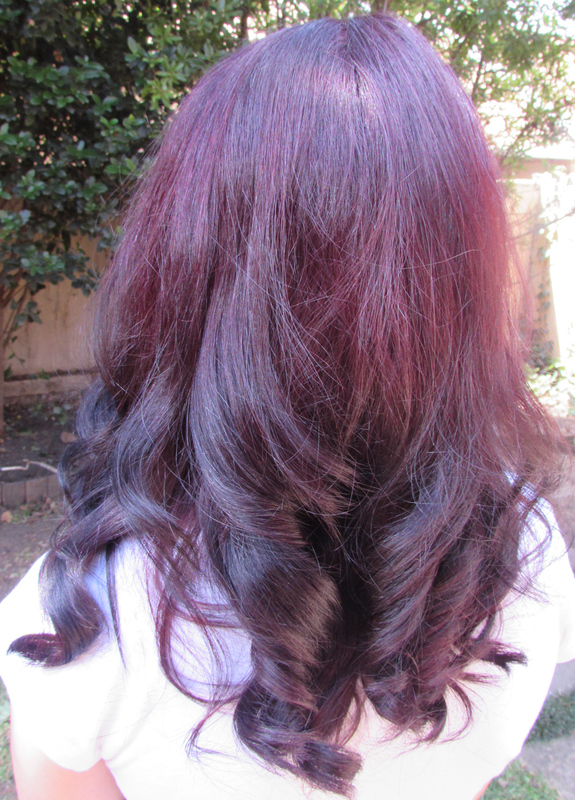 I started off my Renew love affair using the shade Mulberry, and then I added Burgundy lowlights. The next time I decided to use Burgundy all over (That was the color I had my hair for my wedding) and most recently I've gone back to Mulberry, but I mix it with Mocha - one box of Mulberry and one box of Mocha. I absolutely love the result, it gives me the darker color that I love so much, but the Mulberry adds such a stunning warmth to it. The formula is very easy to work with and it doesn't drip. I must say, it doesn't smell particularly pleasant, it has quite a strong smell. But by now I'm used to the chemical inhalation that comes with looking good (LOL). After coloring my hair I use the conditioner that is included in the box, it's ah-mazing. It leaves my hair looking silky soft and so healthy. I am thrilled to have found a brand of hair dye that is affordable and every bit as good, if not better, than products that are double the price. The color lasts quite well, the Mulberry faded rather quickly when I used it on it's own, which I expected, because any kind of red/reddish hair dye fades twice as fast as any other colour. But mixed with the Mocha it lasts much longer. Bottome line - definitely try it for yourself, I highly recommend this brand! Happy hump day! I hope you found my review helpful. Hi! Have you tried their new funky colours? What is your opinion? @Tronéll Lwssing I have been SO tempted, but I'm nervous about pre-lightening my hair, so I haven't. But the colors look lovely! can u plse tell me in the Renew is there a renew hair colour where as u can straighterner yor hair and colour the same day plse!!! @sharon I always straighten my hair the same day I colour it (using a hair iron, not chemical straighteners) and I've never had a problem :) the only time I would be cautious of heat styling after colouring is if you bleach your hair. But if you're just using one of the regular hair dyes it should be perfectly fine.